Showing results by author "Julie Nixon Eisenhower"
After President Dwight D. Eisenhower left office in 1961, he retired to a farm in Gettysburg, Pennsylvania. Living next door was his teenage grandson, David; they would be neighbors for the rest of the decade. 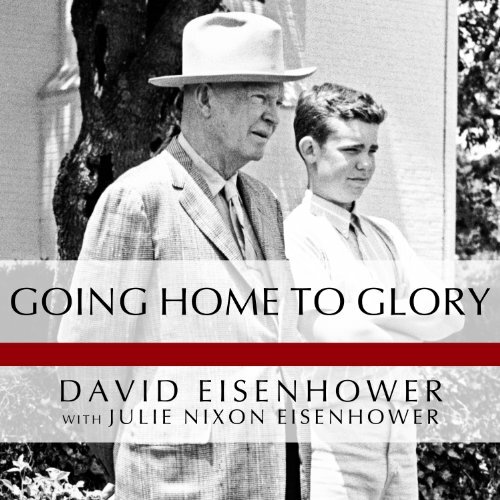 Based on personal stories, letters, diaries, and the reminiscences of Eisenhower’s closest friends, Going Home to Glory is both an intimate chronicle of the elder statesman’s final years and a coming of age story. American Problems in Government Began in 1960?